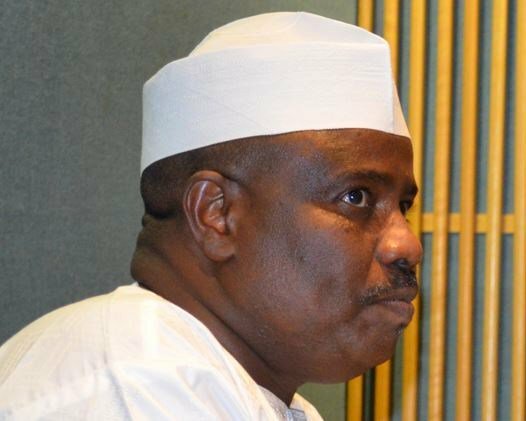 The All Progressives Congress (APC) Sokoto State chapter yesterday warned the state governor, Aminu Waziri Tambuwal, and the Peoples Democratic Party (PDP) against further harassment of its members and supporters. The APC, which described as untoward act of aggression, repression and intimidation by the governor and his party, accused them of sponsoring thugs to commit the dastardly act. Similarly, the opposition APC said the PDP administration in the state owed Sokoto people explanations as to the alleged physical assault on civil servants and their replacements by touts. “Anything in the contrary will only go to further confirm that the government is fully behind these dastardly actions and aiding and abetting them,” a statement by the Sokoto APC chairman, Sadik Isah Achida, stated. Achida further said, “Any silence would also confirm our apprehension and due concerns thus APC would be compelled to enforce the rights of its supporters. “We will not fold our arms and allow such flagrant and dastardly attacks, acts of aggression and intimidation. We will not, even for a second, hesitate in allowing our supporters to use any available means to lawfully defend themselves and enforce their fundamental human rights. “All Nigerians have equal rights and freedom of movement, right to live, right to practice one’s religion, meaningful socio- economic transactions, right to belong to any political party and array of other enforceable rights among others enjoyable by all Nigerians,” Achida said. Further, he pointed out that despite the PDP peace credentials that filled the airwaves, hoodlums keep parading themselves, caning and flogging people suspected and perceived to be APC supporters, claiming they were cleansing them for integration into the society. “It is apt and desirable for the PDP to either confirm its complicity in these atrocities or deny as well bring the obnoxious activities to a halt and take necessary steps to apprehend the perpetrators and charge them to court.